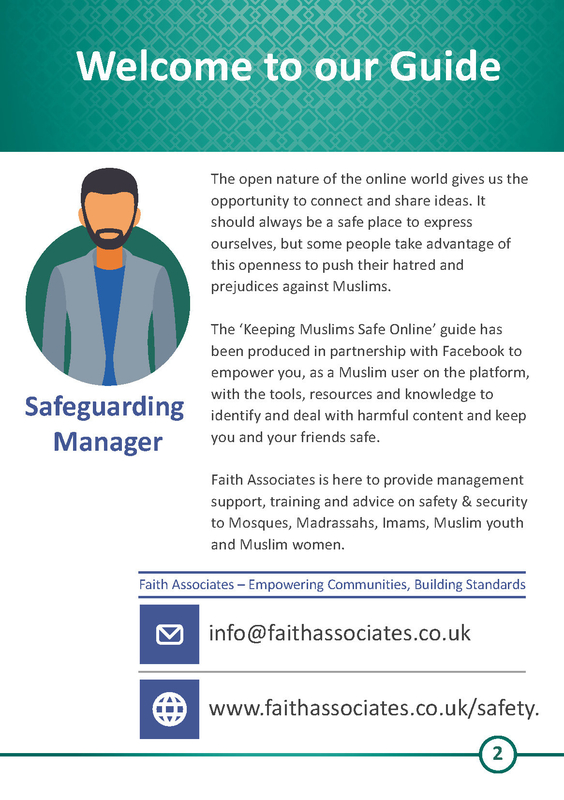 Imams are teaming up with Facebook today to launch a new guide aimed at improving safety of Muslim communities online, in a year that has seen anti-Muslim hate crime soar – but young Muslims have already expressed concern that the initiative won't work. The guide, titled "Keeping Muslims Safe Online: Tackling Hate and Bigotry", is being launched in parliament to support Muslim communities in dealing with risks such as trolling. It places the onus on young Muslims to share positive stories, which some have dismissed as "preaching to the choir". It comes just days after new analysis revealed a global network of anti-Muslim activists are using Twitter bots, fake news, and the manipulation of images to influence political discourse. 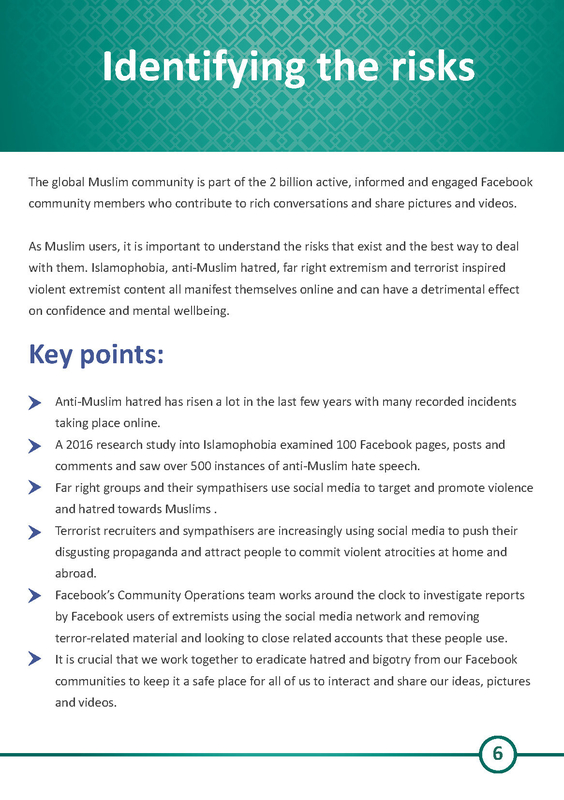 Facebook has partnered with Faith Associates, a consultancy that provides mosque leadership, to provide the guide, which cites a 2016 study into Islamophobia that examined 100 Facebook pages, posts, and comments and saw over 500 instances of anti-Muslim hate speech. 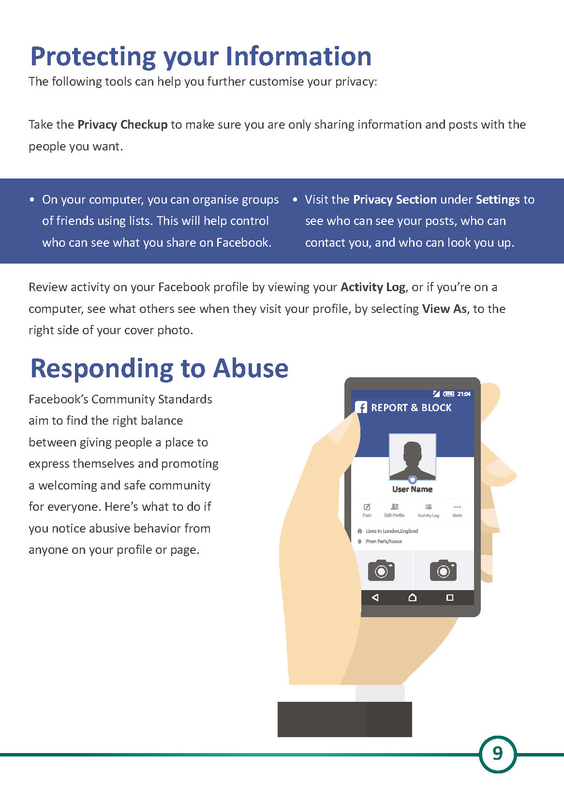 One of the key recommendations that will be circulated to communities includes urging users to tackle hateful and harmful content on Facebook directly "by making use of words, pictures and videos that are encouraging, inspiring and by positively engaging with online content". "If you see someone being targeted for being a Muslim, don’t be a bystander. Share your good news stories of how Muslims contribute to society to help dispel the myths and lies of far-right and anti-Muslim voices," users are told. Another recommendation is for users to report anyone on Facebook sharing content inspired by terrorist organisations or encouraging others to join extremist groups, and to "follow up with posts that show messages of peace, mercy and tolerance". 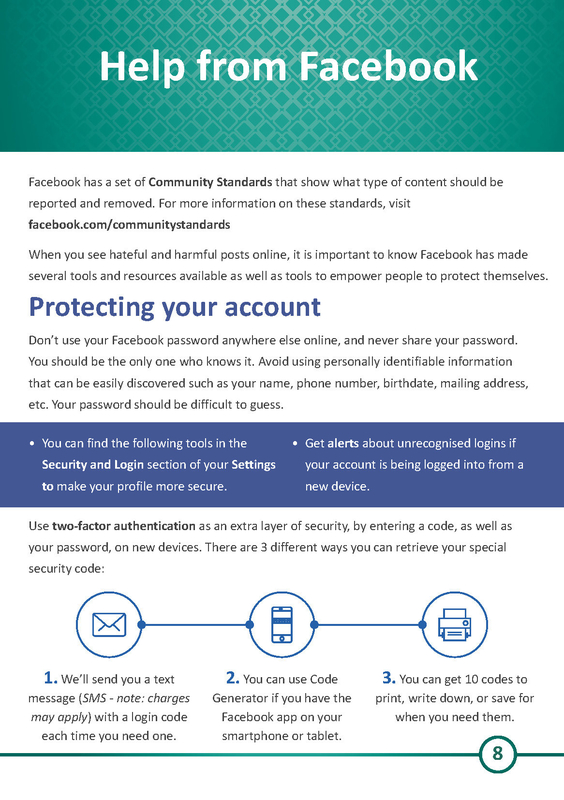 The guide shows users how to report, how to protect an account, and how to understand online risks. Simon Milner, the head of UK policy at Facebook, said: "Facebook welcomes all communities, and there is no place for hate on the platform. We work in a number of ways to tackle this issue – from the use of artificial intelligence to find and remove terrorist propaganda, to our teams of counterterrorism experts and reviewers around the world working to keep extremist content off our platform." Shaukat Warraich, the chief executive of Faith Associates, said he was "confident" the guide would be well received in the Muslim community, and would "empower Muslim users of Facebook with the confidence and resilience to become effective in identifying and tackling the risks that exist online". Warraich added: "The guide will also aid the development of mosques, madrasahs, and imams in their efforts to deliver a holistic service to their constituencies". His organisation will be working closely with faith institutions to help deliver training on online safety, he said. However, some young British Muslims with active social media accounts felt uncomfortable that the burden of countering hate speech by extremists was apparently on them. Speaking to BuzzFeed News, Nafisa Bakkar, the cofounder of Amaliah, a Muslim media company, said: "With some of the recommendations, I would really question why they think it's the Muslim communities' place to combat that." Commenting on the recommendation to share positive news to help counter hate speech, Bakkar said: "Maybe it's the wording. I find it really weird they think the way we're going to combat this is by getting Muslims to share more positive stories." She said, for most people, Facebook is where users are connected to their friends and family. "It's a very personal thing. The reality is a lot of these Muslims are not following friends who are on the far-right or people that have these problematic views. "So to say that we're going to combat it by sharing positive news, you're just preaching to the choir. The people who already know you're not a monster are going to see this content. It's not going to be the people who need to see it." She added: "I think when you're making that a thing that needs to happen as part of your company policy, that's when it becomes a problem. "Muslims should be able to share what the heck they want. If they want to share angry news, they will share angry news. "They're not saying we're going to tackle hate speech or whatever; what they're saying is you're gonna help us drown it out by sharing positive stories. I find it a bit weird, to be honest." Zarah Sultana, who has experienced online hate during her time involved in student politics at the National Union of Students, said: "It's definitely a step in the right direction and they're trying to do something about this online space that is so often unregulated, and you'll find social media companies like Facebook and Twitter will often use freedom of speech or the fact that they can't find all these individuals." Yet she was sceptical about the recommendation of countering hate with positive content, and said: "I don't think sharing articles is a strategy in itself. We're in an era of fake news when you have all these incorrect things shared and completely unchallenged. You've then got people who constantly share Islamophobic and racist content, and their accounts are active and they're never really held to account." For Sultana, part of the problem is that the UK government has yet to adopt a clear definition of Islamophobia: "People can say whatever they like about Muslims, because as a collective group we're not protected under race or religious legislation because the standard of proof required to prosecute someone for going after Muslims is so much higher than racial discrimination. Because with religious hatred you have to prove intent. And that's impossible." The guide is the first piece of work to come out of Facebook’s Online Civil Courage Initiative – the company's counterspeech programme launched in June with the Institute for Strategic Dialogue, a London-based think tank specialising in extremism.